Anyone who follows Jeremy Cherfas‘ Eat This Podcast (or specifically his excellent microcast series Our Daily Bread) would have seen this one coming from a mile away. One can get some reasonably flaky and tender biscuits (and not hockey pucks as she describes) with all purpose flour using harder wheat, but having the alternate version certainly makes a nice difference. Of course this would use a more laminated/pastry sort of method than the sort of cloudlike fluffiness that one typically gets in the South with a more generic mixing method that is usually employed. 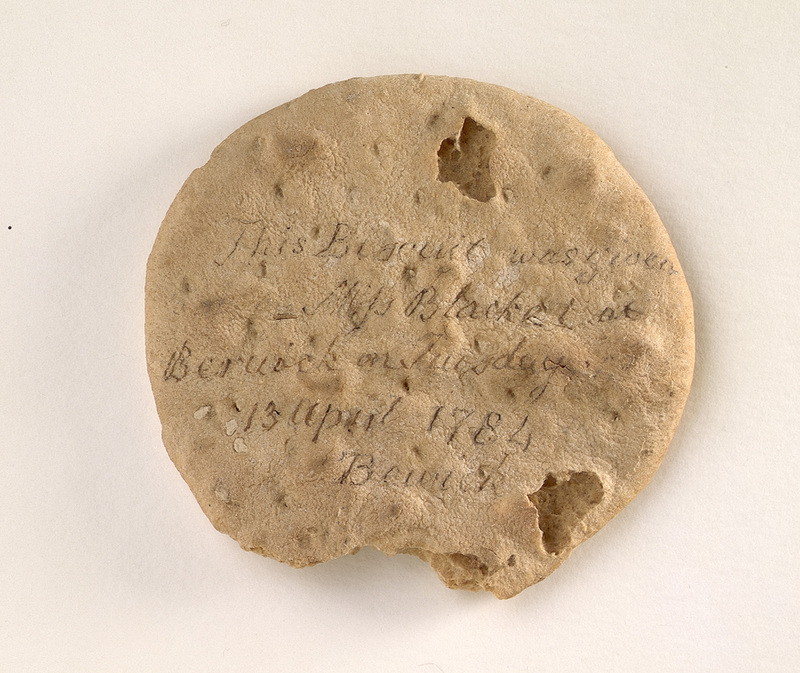 The ship’s biscuit was an important part of the sailor's sea diet before the introduction of canned foods.